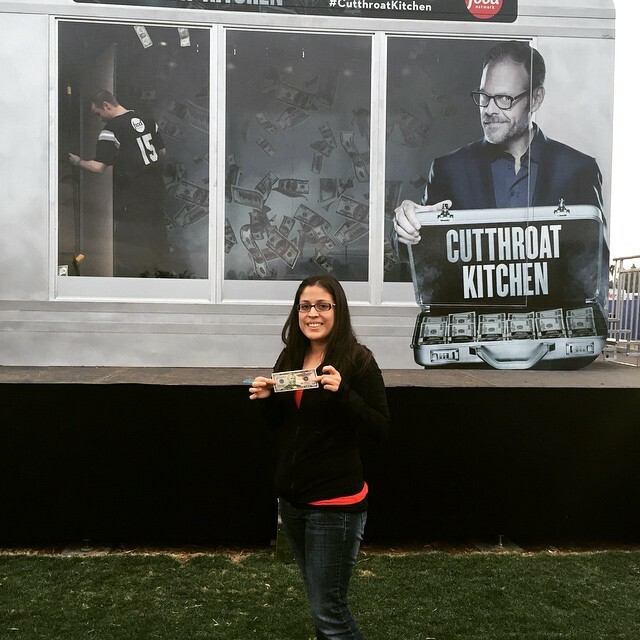 Solution: At DIRECTTV’s Super Fan Festival leading up to Super Bowl XL!X, LeadDog Marketing Partners tasked Turtle Transit to build-out an interactive mobile exhibit for the popular Food Network Series, Cutthroat Kitchen, the Outdoor exhibit was built to replicate a larger-than-life briefcase, inspired by TV host Alton Brown’s briefcase full of case featured on the show. 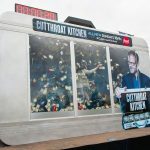 The giant briefcase was transformed into a fully functioning cash cube, which showcased thousands of Alton Brown bills worth special prizes for those lucky to participate inside the Cash Catch activation. 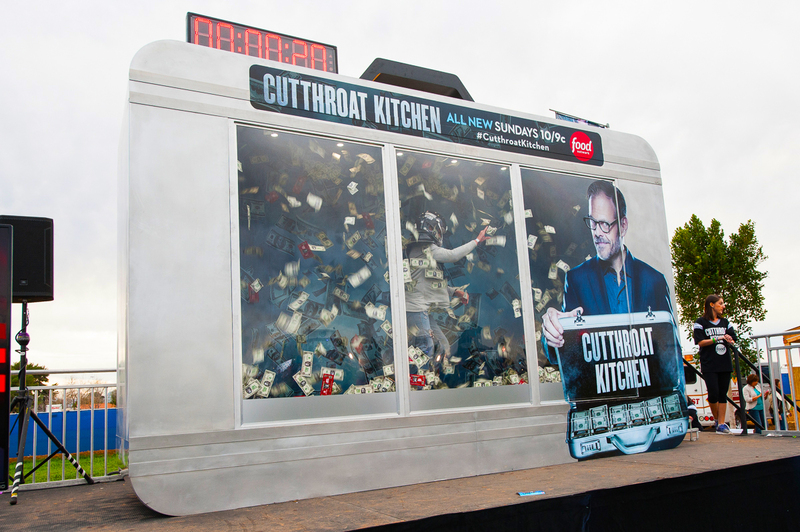 Each consumer selected to enter the giant briefcase had the chance to win up to $100 of flying cash in 30 seconds while battling a challenge from the spinning “Sabotage” Wheel, such as wearing lobster claws, eye patches and football gear. 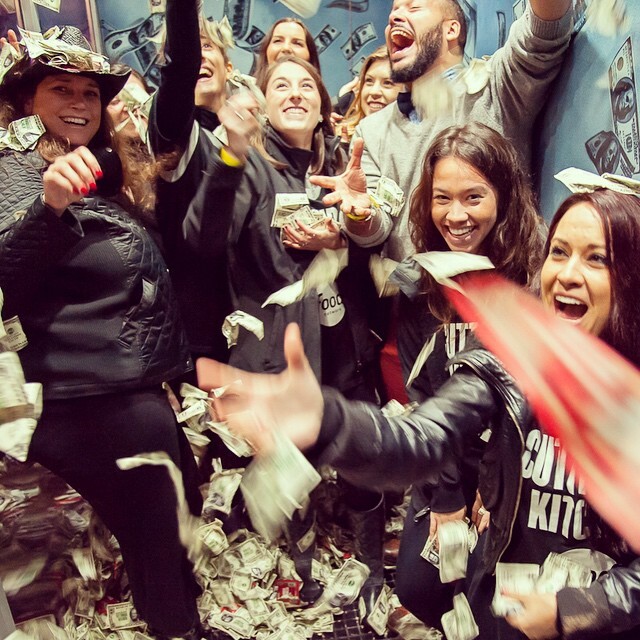 the lucky consumer to collect the most cash won two VIP tickets to DIRECTTV’s Super Saturday Night party and concert featuring Rihanna. 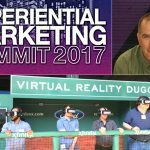 Turtle Transit manufactured the outdoor exhibit to be lightweight and modular. 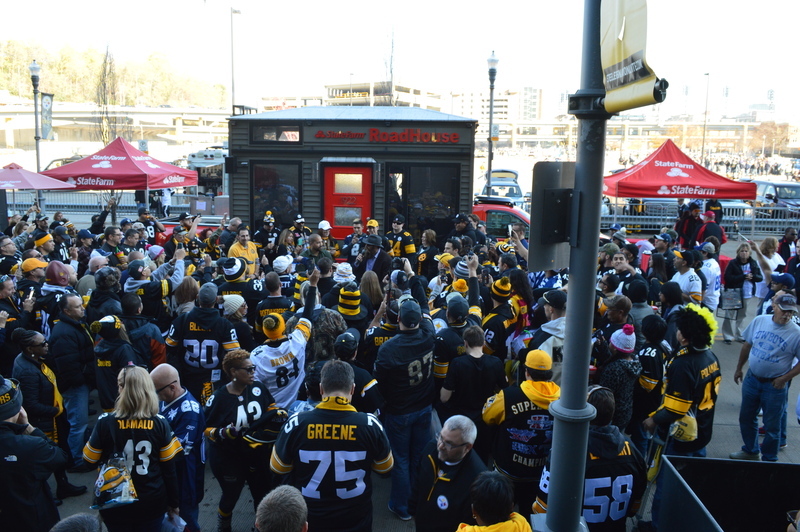 The structure of the exhibit featured large scales glass windows to drive participation and engage attendee passerby at the festival. 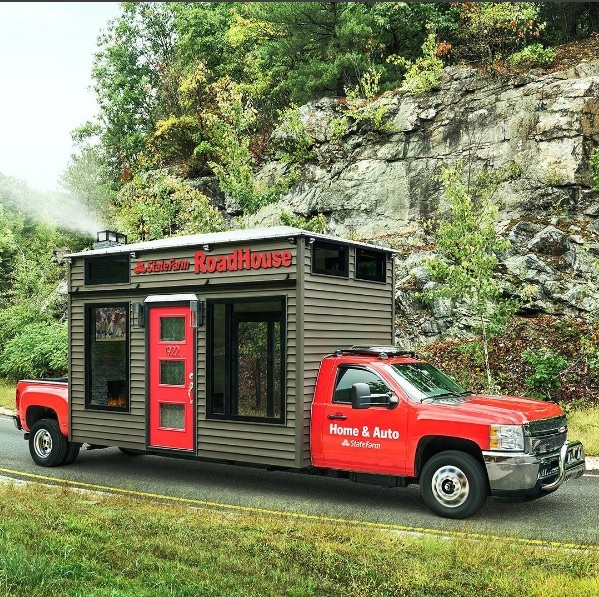 The interior was engineered with a full electric system designed to power under floor exhaust fans that blew the Alton Brown bills inside the briefcase at high variable speeds. 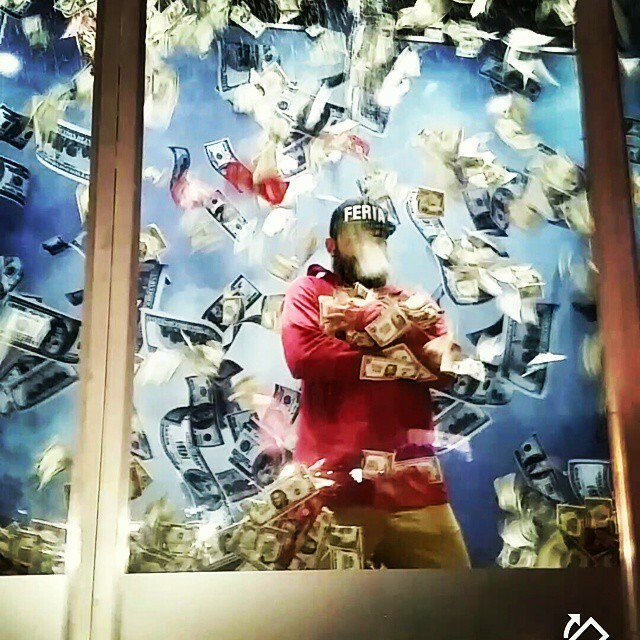 An overhead countdown clock above the briefcase displayed the participants time so that festival attendees could observe the cash cube activation from afar. 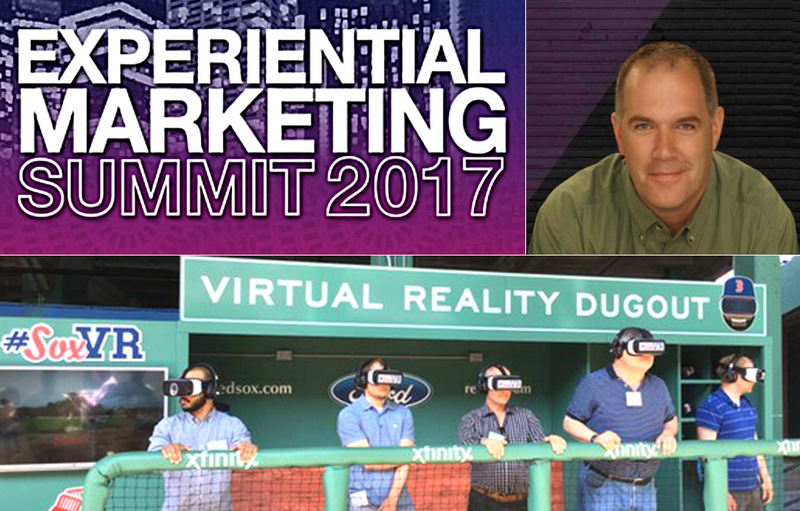 James Riseborough, President and Founder of Turtle Transit will be appearing with Adam Grossman, Chief Marketing Officer, Boston Red Sox at the upcoming Experimental Marketing Summit in Chicago, May 3-5. 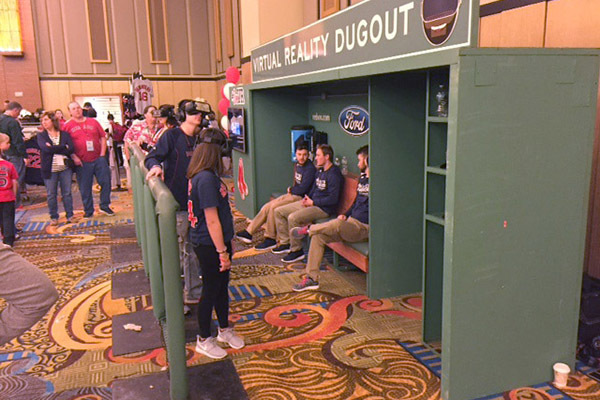 This weekend, Foxwoods Resort and Casino in Mashantucket, Connecticut, is host to Winter Weekend, an event where families can interact with current and former Red Sox players. 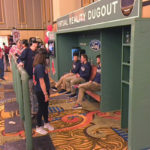 Attendees will also have the opportunity to engage with the “Red Sox Showcase” mobile fan experience, created by our team here at Turtle Transit. Havas Impact, a top 100 event agency, partnered with Turtle Transit to design and build the Amope Beauty Boutique Tour – a sleek mobile salon that travelled to 11 cities and offered shoppers the chance to kick up their feet and get sandal season-ready for the summer. 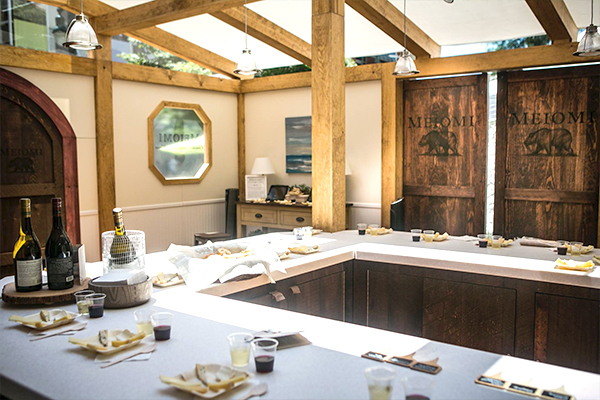 The beauty boutique, a custom mobile exhibit, featured complimentary five-minute partial manicures and pedicures with the Amope range of foot and nail care products. 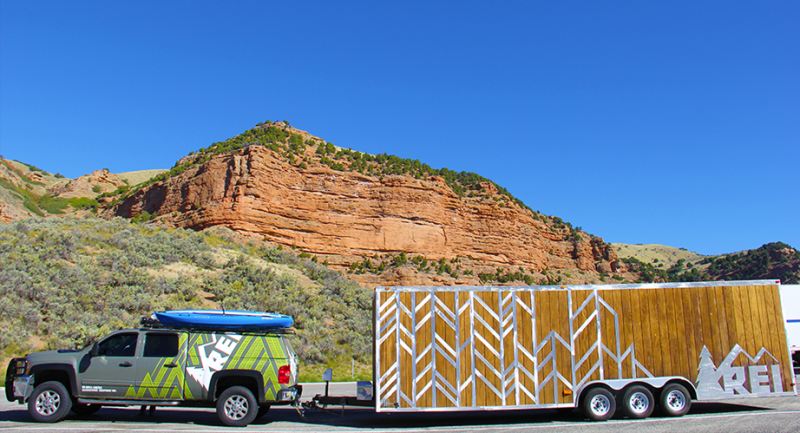 As part of a two-year partnership with Ragnar Trail Series, presented by Salomon, outdoor specialty retailer, REI Co-Op wanted to create an elevated presence at the races during the 2016 season. 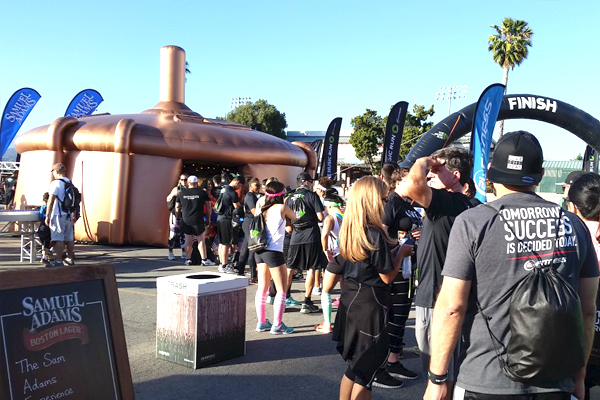 From the deserts of southern Utah to the cascades of the Pacific Northwest, Ragnar boasts 19 trail relays at some of the most scenic venues in the country, and has quickly evolved into one of the industry’s fastest growing events with nearly 35,000 participants annually. 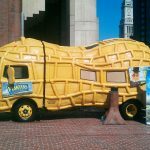 Momentum Worldwide, a total brand experience agency, teamed up with Turtle Transit to build-out a fleet of product sampling vehicles for the Good Humor “Welcome to Joyhood” Tour. 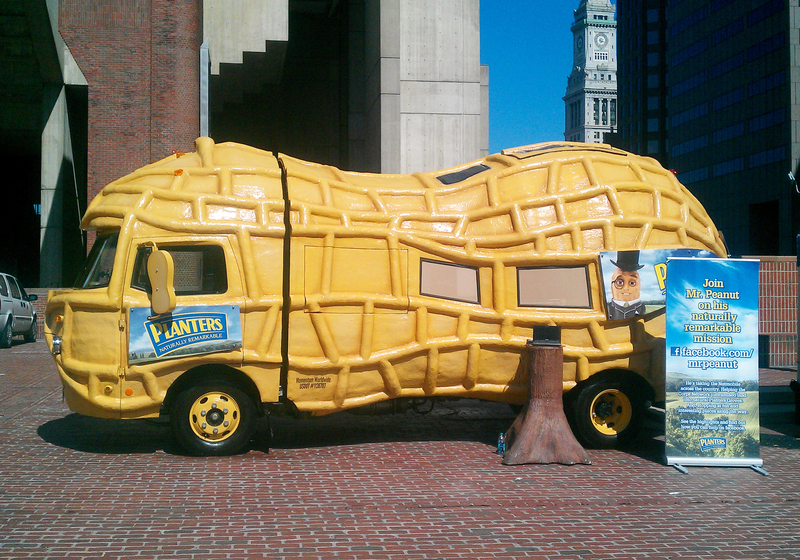 The Good Humor Joy Squad will visit neighborhoods throughout the Northeast this summer, surprising and delighting those who live, work and play in select cities with free frozen treats, giveaways and more. SoHo Experiential, a recent It List Top 100 Event Agency, called on Turtle Transit to create a unique and sophisticated outdoor installation to create awareness for Meiomi Wine and its exceptional Pinot Noir and Chardonnay from three coastal regions of California. 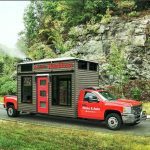 In an effort to elevate their sponsorship footprint at major festivals and events during the summer and fall season, Boston Beer Company tasked Turtle Transit to create “The Sam Adams Experience” – a one-of-a-kind branded drinkers’ pavilion.